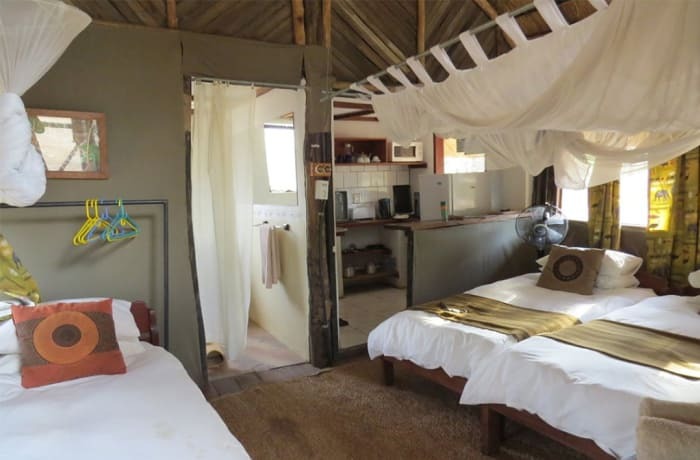 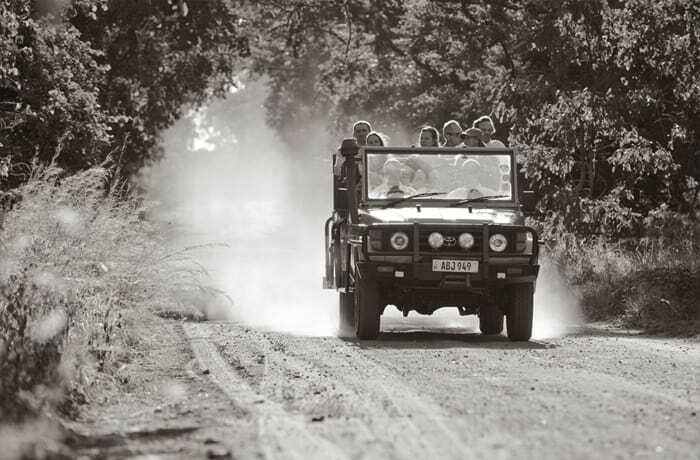 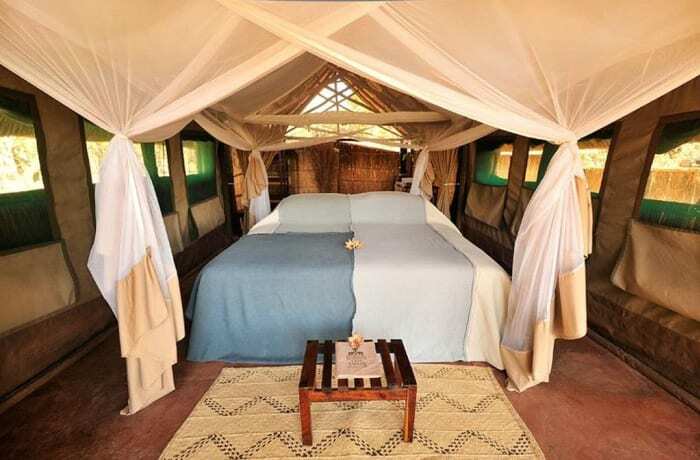 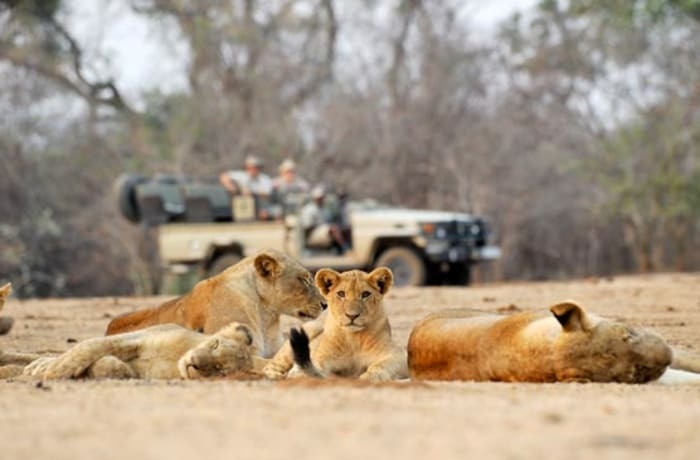 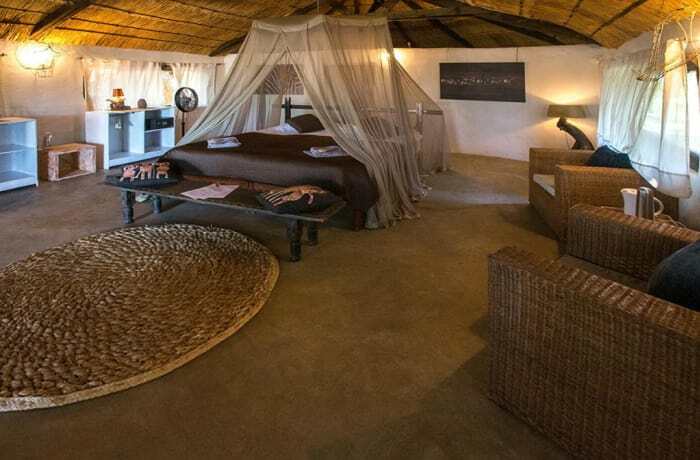 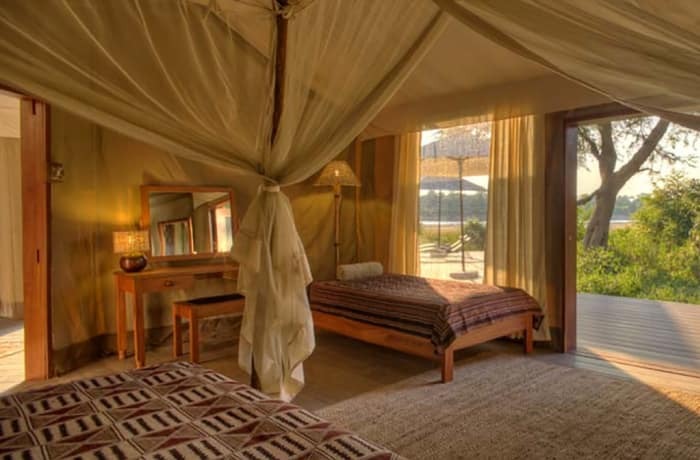 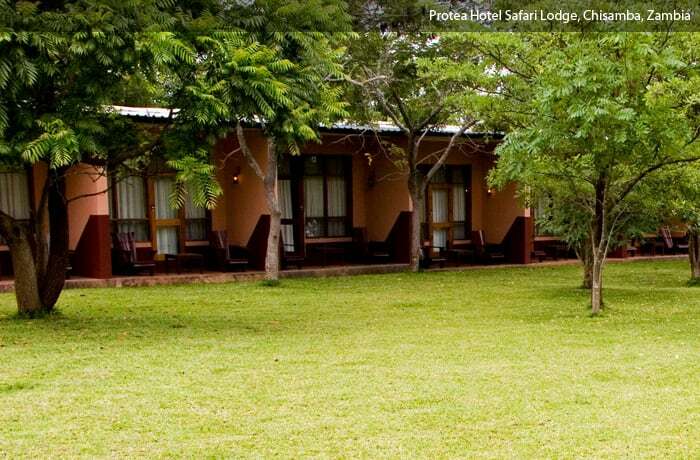 This beautiful camp has four traditional walk-in safari tents each with en-suite bathrooms made with natural materials. 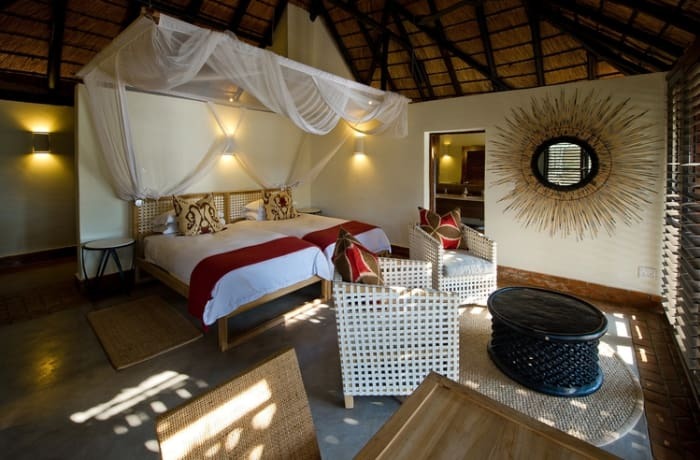 The bar and dining chitenje (lounge) is constructed of reed and thatch forming the centre point of camp. 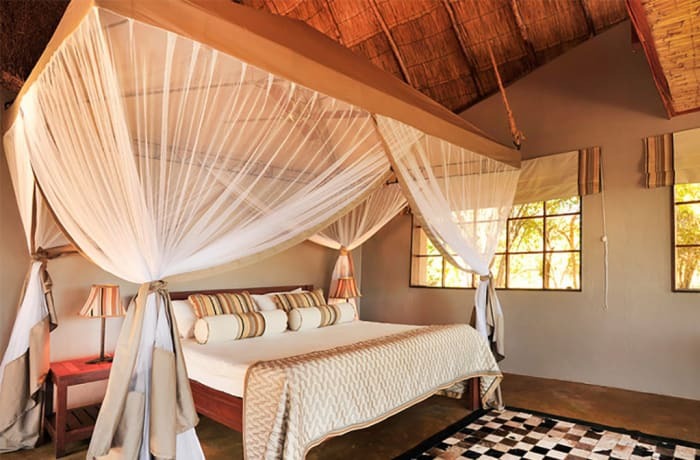 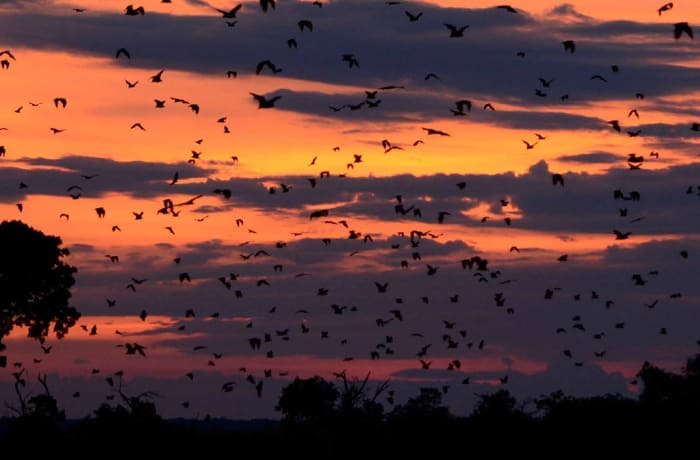 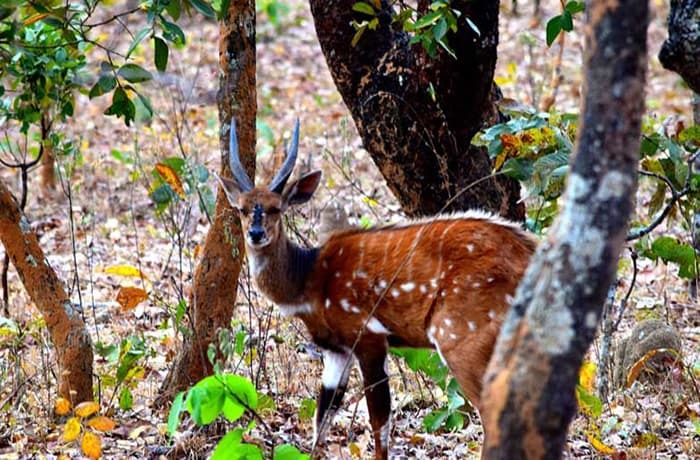 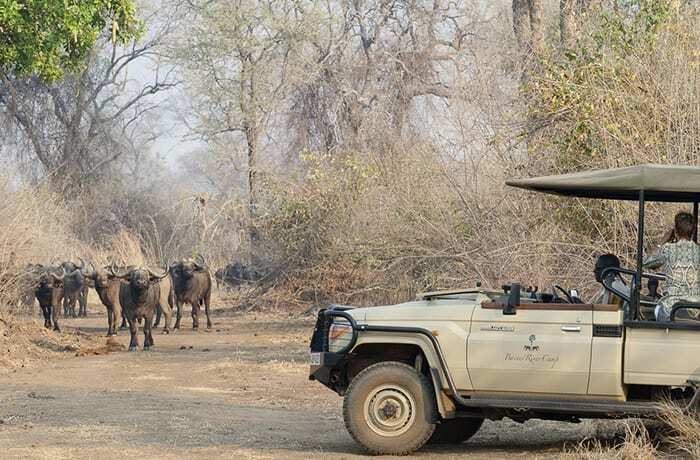 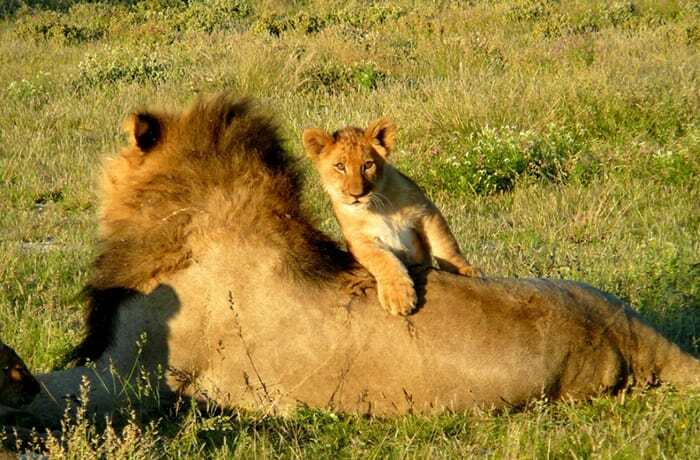 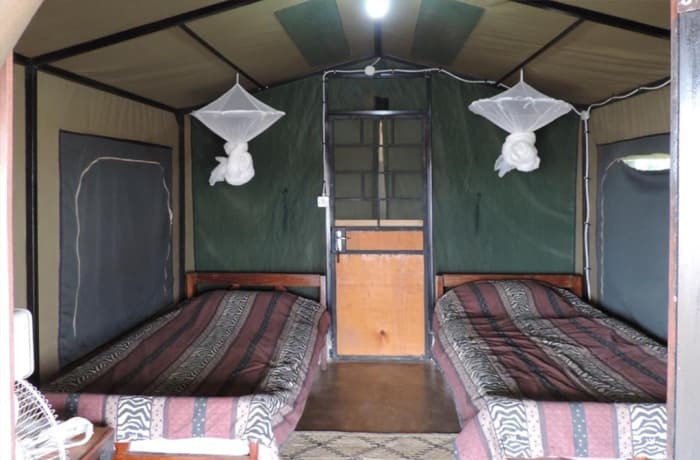 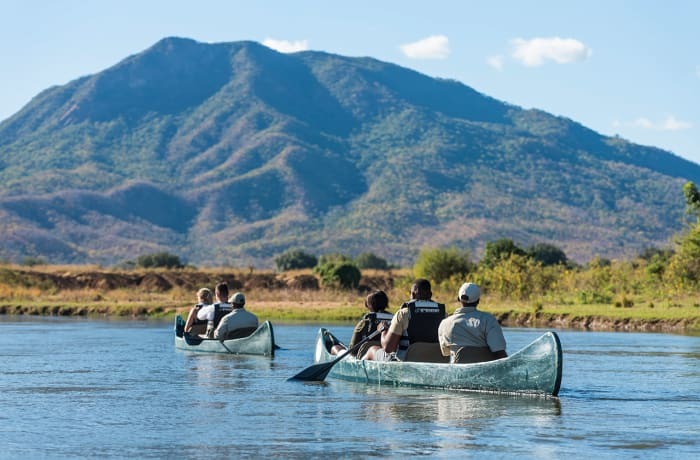 The entire camp is on an elevated stretch of river bank overlooking a wide grazing lawn which follows the Luangwa River until it meets the confluence of the Luwi River. 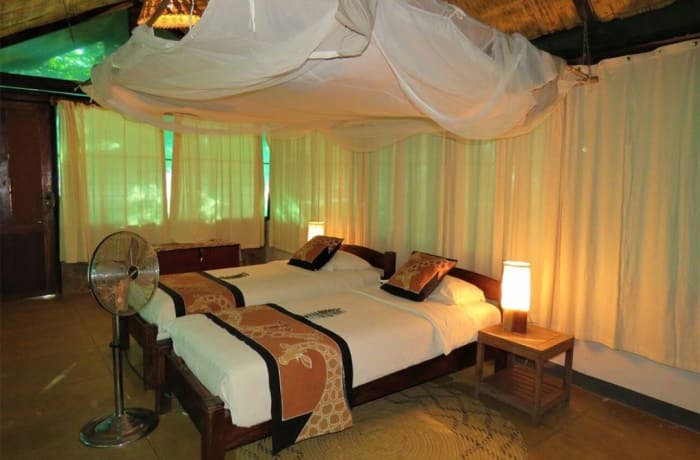 A lovely thatched chitenje acts as the centre of camp. 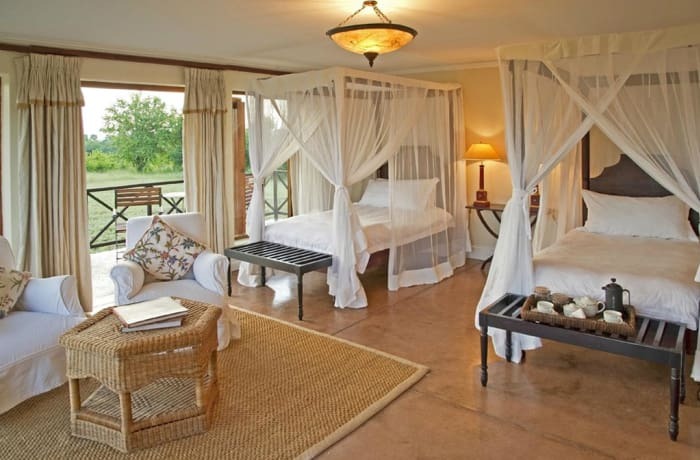 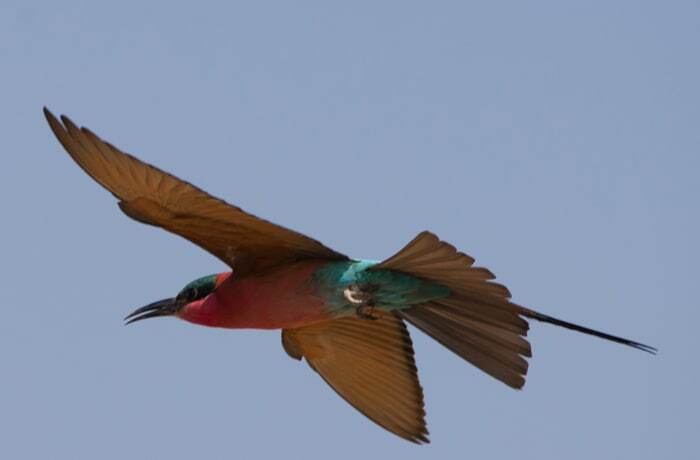 It is on a wooden deck overlooking the grazing lawn that leads down to the two rivers and is a perfect spot in which to relax and watch the wildlife meander.